PARIS (AP) — A strong explosion and fire hit a science building undergoing repairs at the University of Lyon on Thursday, injuring three people slightly, French officials said. The area was evacuated after the explosion on the roof of the building Thursday morning, and the regional fire service said the blaze was under control soon afterward. 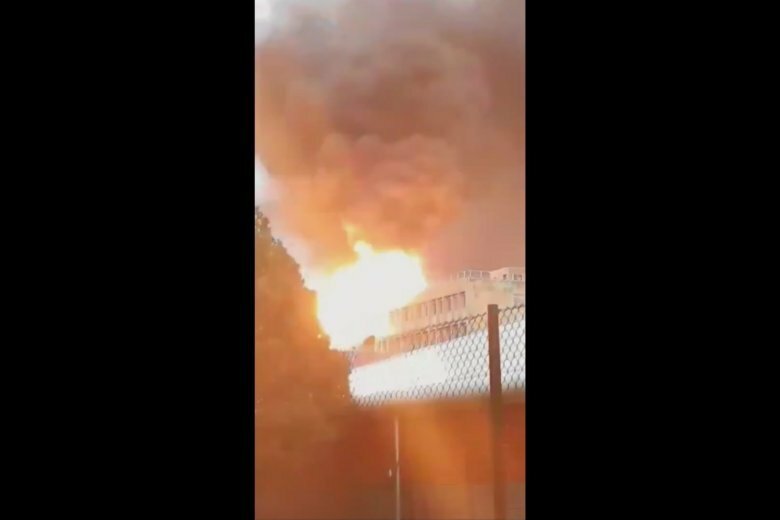 Images posted on social networks showed huge plumes of black smoke and flickering flames rising above the campus in the Lyon suburb of Villeurbanne. The university said multiple explosions were heard and that they were “caused by renovation work.” The town of Villeurbanne tweeted that the blast was “accidental,” without elaborating. Both the town and university insisted there were no risks of chemical leaks. The explosion hit days after a blast apparently caused by a gas leak hit a Paris bakery, killing four people and injuring dozens.